What Employers Are Looking For In A Senior Android Developer? We just learned in the previous post about the skillset an employer is looking for in a junior Android developer. If you fall in that category, you know what skills to acquire and how to prepare yourself before you approach the employer. Now, if you don’t fall under the category of a junior Android developer, that would be of no use, there would be something else, something extra expected from your end. To those falling the under the senior category, here is a checklist of what employers are looking for from a senior Android developer. Well, despite the fact you are junior or senior, if you are an Android developer, you need to have this thing inbuilt in you. There are no divergent ways to this fact, Java is the must. An android developer without Java coding skill is like a body without a soul. Well, here I am not talking about the knowledge and basic understanding about Java, I am talking about the deep and solid knowledge and experience of working with Java. The skills of an Android developer should be beyond syntax to get the object-oriented skills which are underneath all the Java apps. Now, this is also not just the basic knowledge and understanding, the senior Android developer should have their hands on this language. Senior should know the Kotlin properly and should also know how to teach it to the junior developers and make them competent enough to develop apps in Kotlin. Seniors should know how to combat challenges and solve issues in Kotlin app development. The app with even the little significance would need a strong backend to store the application and its data. For this, the developer needs to know SQL. The dominant database in the current time preferred and used by the Android developers is SQL and hence it is mandatory for the developers to learn and implement SQL for the database management. The functioning of your Android app is done with Java but to make it look good, XML is needed. The user interface and the layout of your app are made with using XML. Without an attractive user interface, the users are not going to use the app that’s for sure. That is why senior developer needs to have XML knowledge and its integration. Android Studio provides an integrated development environment which gives you access to all the tools needed for the entire app development. It also provides you with the features and functions to test the app, remove the bugs and make it flawless. 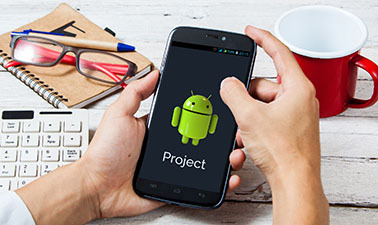 A senior android developer should know how to use the Android studio and find the shortcuts that will help to finish the development speedy and easy. Material design helps the app look how it should actually look. It shows you the guidelines of designing and how your app should look to compete in the market and look like the other Android apps. A senior Android developer should possess this skill to use material design and make the app have a nice look and feel to enhance the user interface and user experience. Having these skills on your resume will increase the chances of you being selected for the post of the senior Android developer by your employer. Well, you might also be assigned a practical task to showcase your skill set and convince the employer about the practical implementation of the mentioned skills.